ABSTRACT: Many essential things of our everyday life such as the cars, homes, phones, and watches are now getting connected over wireless networks and acquiring some degree of autonomy. As a result, we have access to an unprecedented amount of data and ability to delegate tasks to such devices. Data analytics is therefore becoming an increasingly important part of most connected car, IoT, and autonomous vehicle applications. The field of distributed data science deals with the problem of analyzing and modeling data from such interconnected and often mobile sources. This talk will focus on the evolution of this research area from the academia to commercial products in the context of connected and autonomous cars. It will explore how the connected car technology has rapidly evolved over the last few years and created popular household products. The talk will summarize the achievements, technical challenges, algorithmic solutions, and emerging applications in the field of connected and autonomous cars. It will also highlight some of the business experience that took a research project to a best seller product. BIO: Hillol Kargupta is a co-founder and the President of Agnik (www.agnik.com), a distributed data science company for connected cars and devices. Agnik is the owner of popular consumer brands like Vyncs (www.vyncs.com). He has more than 20 years of experience in computing and business leadership. Dr. Kargupta is an IEEE Fellow. He published more than 100 peer-reviewed articles. His team received many awards such as the 2010 Frost & Sullivan Enabling Technology of Year Award, 2016 Fleet Logistics Tech Outlook Top-10 Fleet Management Solution Provider for smartphone-based telematics product, CIO Review 2015 20 Most Promising Automotive Technology Solution Providers, IEEE Top-10 Data Mining Case Studies Award. 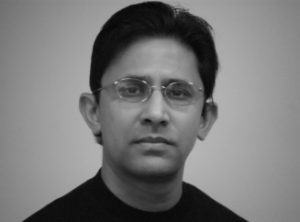 Dr. Kargupta won the IEEE ICDM 10-year Highest Impact Paper Award in the field of Privacy Preserving Data Mining, IBM Innovation Award in 2008 and the National Science Foundation CAREER award in 2001 for his research on ubiquitous and distributed data mining. His other awards include the 2003 IEEE International Conference on Data Mining for a paper on privacy-preserving data mining, Best of 2008 SIAM Data Mining Conference (SDM’08) and Most Interesting Paper of WebKDD’06. He also won the 2000 TRW Foundation Award, 1997 Los Alamos Award for Outstanding Technical Achievement, and 1996 SIAM annual best student paper award. He was a Professor of Computer Science at the University of Maryland, Baltimore County until July, 2014. He received his Ph.D. in Computer Science from University of Illinois at Urbana-Champaign in 1996.